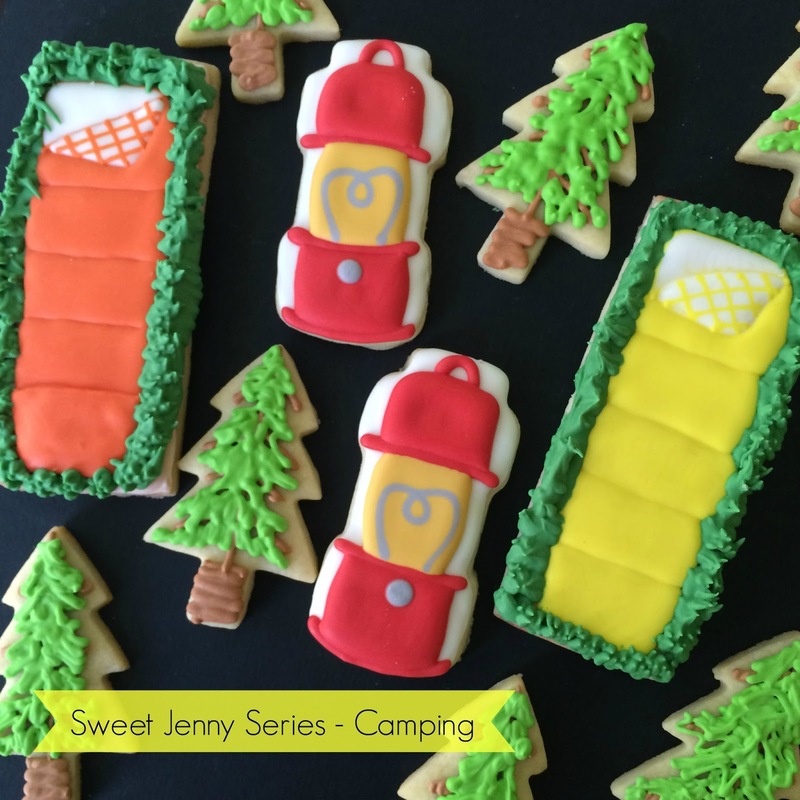 For the cookies today, I'm focusing on all the fun that happens at night when you're camping. I love the idea of comfy sleeping bags in the grass and the sweet glow of the lantern at night. Though when we're actually camping, I'm not sure that I have fond feelings about my sleeping bag. lol! What is your favorite part of camping? The key part to a successful sleeping bag cookie appearance is waiting. You need to wait to add adjoining segments of the bag until the last one has slightly crusted over, otherwise they will run together and it will just look like a long tube. The soft green grass needs to be done with stiff royal icing. You can see with my yellow sleeping bag cookies that the icing was a bit too soft and didn't want to keep the shape. I used Wilton top 233 for the grass. If you need a good royal icing recipe, click here for my favorite recipe. On Instagram, the lantern is receiving all the love. Maybe there is something in the nostalgia of a camping lantern? What cookie cutter did I use? I just happened to buy a bubble jar cookie cutter from Bobbi's for a different set of summer cookies and when I opened it, all I saw was a lantern! I think it's perfect. You can either flood the base in a neutral color ( I did white) or you can leave it naked. Again, the key to this cookie will be waiting to ice the different parts of the lantern until the adjoining parts have dried. I did use a wet-on-wet with the grey filament in the golden lamp. I hope you are enjoying this camping series! I loved making it - come back tomorrow for more outdoor fun! And please let me know if you have questions.